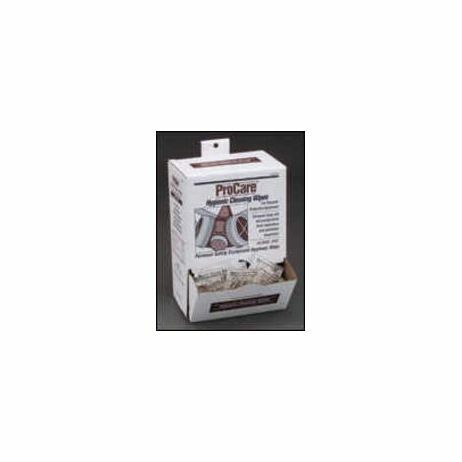 ProCare ™ Pre-Moistened Hygienic Cleaning Wipes for PPE, Alcohol-Free Hygienic cleaning wipes are a safe and effective way to keep all of your personal Protective Equipment clean. Safe and effective for cleaning respirators, hard hat suspensions and other personal protective equipment. Also good for cleaning phones and keyboards. Choose from either Alcohol Free or Alcohol based wipes. • Contains 100 - 5”x 8” Individually wrapped pre-moistened hygienic wipes.